Zero-for-Three: Is Governor Pat Quinn *That* Toxic? 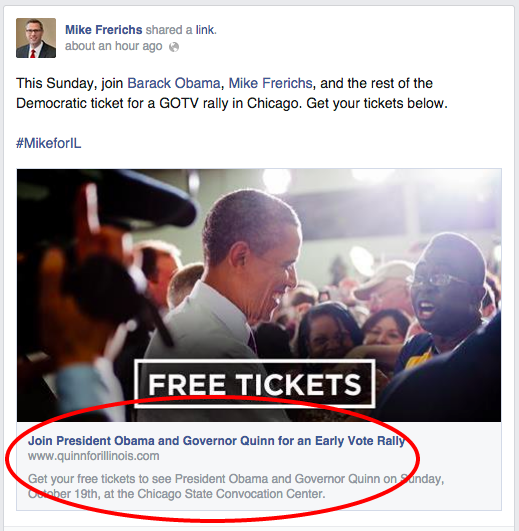 He failed to mention - at all - the guy who was the VIP at the Rally: IL Governor Pat Quinn. See all three posts below in order of appearance below. Post 1: Join who, Mike? Just Barack Obama? What about the guy who is supplying you with the tickets? You know...the Governor of Illinois and the guy at the top of *your* ticket? Post 2: Excited to just have BO? Are you *that* much of a fanboi? What about the guy who's name is actually printed on the tickets?!? No mention of him? Post 3: Who did you rally with, Mike Frerichs? Just the President? Not...Pat Quinn? So...what exactly is going on here? 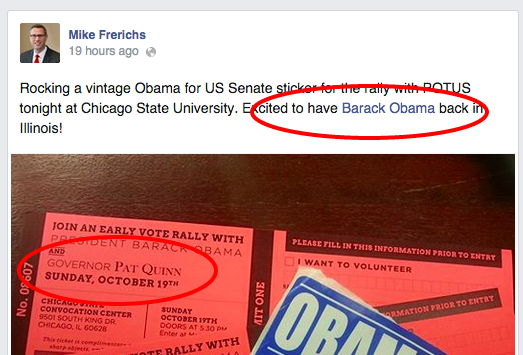 Why is Mike Frerichs so desperate to distance himself from the Governor of Illinois? 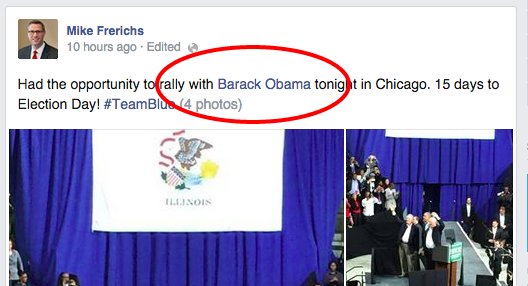 He didn't mention him once - in any of the posts - even though Governor Pat Quinn was the benefactor of the entire rally?